Posting by Don Hardie " april 13-2009 "
I have attached some photos of my 100 if you would like to add them to your great web site. I have owned the 100 for 20 years and it has been a running restoration for that time. It is an original 1955 Australian delivery, but at some time in it's life has had some earlier parts used for repairs, like a 4 stud rear end. 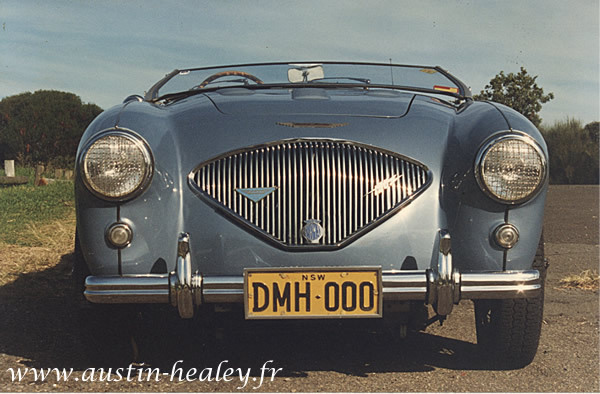 As a member of the Sydney Austin Healey Owners Club for 20 years I use it regularly. Life is pleasant in OZ !! !